Cullivan Farm 3 level Townhome! 2 Bedrooms plus loft, and 2 brand new spacious decks, one from the slider in the Living Room, and another from the Master Suite. New roof, siding, windows & skylights! Such a great location, set on a private cul-de-sac from Rt. 228 close to highway & public transportation, and this complex is pet friendly. Bright kitchen with white cabinets and appliances included, recessed lighting, and a breakfast bar. Open living area on the main floor. High ceilings. Lots of space on the upper levels, with a huge Master Bedroom retreat with loft, 2nd bedroom and oversized full bath with double sinks and jacuzzi tub. 2nd floor laundry. In-unit basement for storage. Central locale has everything in or nearby. Close to Union Point & dog park. 3 miles to Weymouth Commuter Rail. 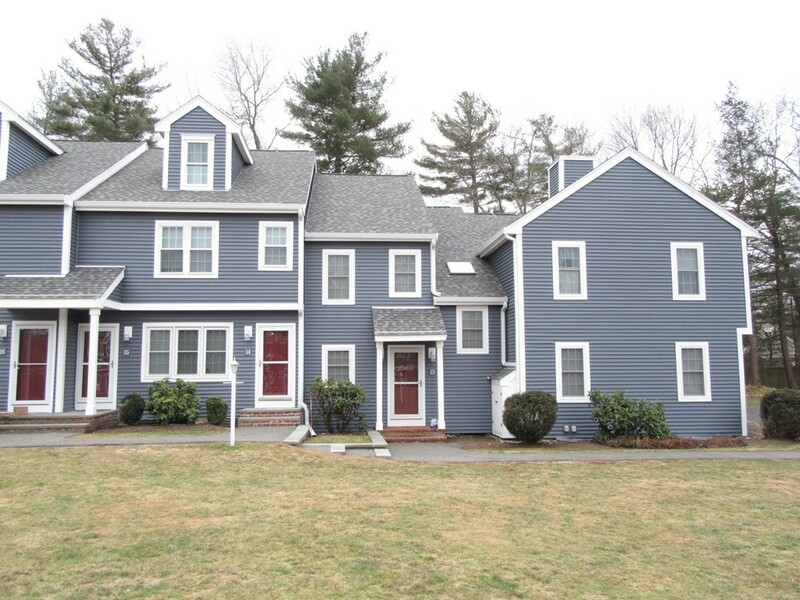 Plenty of nearby malls & shopping, great restaurants, beach, parks & recreation, gyms, Cape Cod, Boston! Recently rebuilt HS & Jr. High, elementary in planning.